On February 9-10, 2019, the Society of Applied Mathematics of UPLB (SAM-UP), the premier organization of Applied Mathematics students in UPLB, will conduct Math In Action (MIA) 2019 at the Royal Palm Leisure Park, Brgy. Puypuy, Bay, Laguna. Around 300 high school students will be engaged in various fun-filled Mathematics-related activities in order to broaden their understanding and appreciation of Mathematics and its application to the real world. MIA is a two-day national Mathematics camp open for all high school students from public and private schools across the country. With the theme “Connecting the Dots Between Sustainable Innovation and Mathematics”, this year’s camp will focus on how Mathematics plays a role on building resilient infrastructure, promoting inclusive and sustainable industrialization, and fostering innovation. The participants will have a chance to showcase their skills and abilities during the presentations of their investigatory projects on the first day of the camp. The students are required to come up with their most original idea, create a Mathematical project out of it such as games, puzzles and devices, and present it in front of a panel of judges. The judges will evaluate the investigatory projects based on the given criteria to determine the winners. The parallel workshops will take place after the participants are grouped and the teams are determined. Parallel workshops will entail interactive lectures about the applications of Mathematics in Sustainable Innovation, the enhancement of students’ creativity, and the development of their appreciation for Mathematics. Each team will be on every lecture simultaneously. The seminar will be dedicated to the faculty members of the participating schools and will occur on the same time as the parallel workshops. An invited speaker will talk about a particular topic about the given theme that will surely pique the interest of the teachers and coaches. This is also a chance for the faculty members to interact and communicate with each other. The main highlight of MIA 2019 is the Mathmazing Race, where the participants’ mathematical minds will be tested. Formed in groups, the students will battle and encounter various challenges and stations that are based on logic games and puzzles, optimization problems and other brain challenging playoffs that require teamwork. Mathmazing Race aims to develop decision-making and leadership skills while promoting sportsmanship and camaraderie among the participants. Math Rumble will be an extension of the Mathmazing Race and will be played by the top teams that gets the highest scores. Pegged against the losing teams, the qualifying teams must compete on a series of activities based on the application of mathematics, on a different and a whole new exciting level. The team who gets the highest score will be declared the winner. All high school students in the Philippines can join MIA 2019. 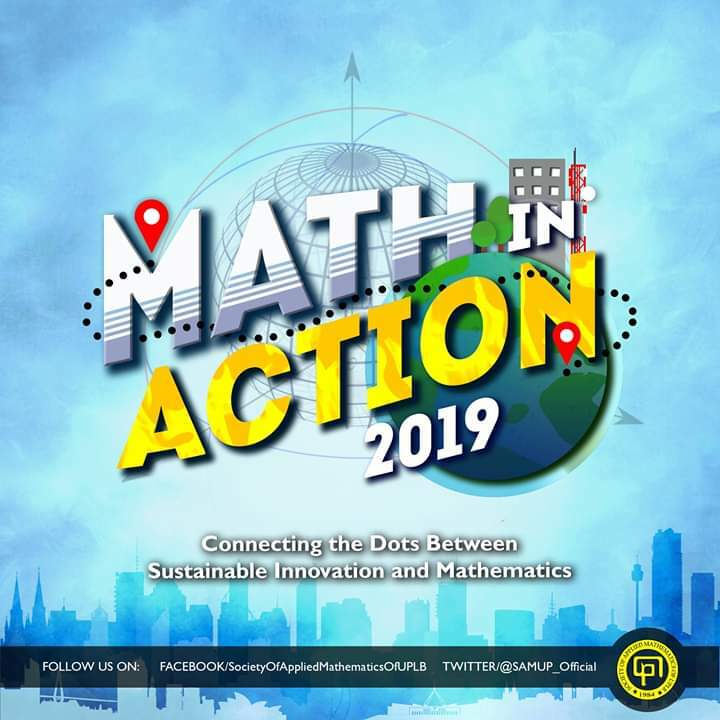 For registration concerns, just send a private message to MIA 2019’s official Facebook page, “Math Quest SAMUP”, send a text message to 09776882264, or e-mail mathinaction2019@gmail.com. Registration fee is Php 1,500 for students and Php 1,200 for coaches (payment inclusion of food, camping fees and materials, and a MIA shirt for students).